The beautiful ‘Norwegian Pencil’ bean had passed along to a family in Minnesota, who then brought it to the Pacific Northwest, where they saved its cherished seed over multiple generations before sharing it with Seed Savers Exchange. 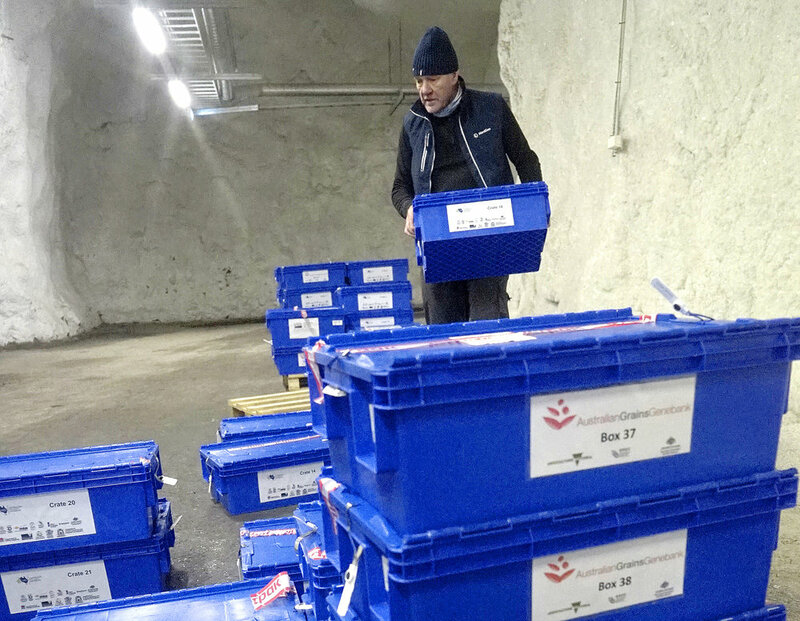 Åsmund Asdal—a Norwegian agronomist who serves as coordinator of the Svalbard Global Seed Vault— has most definitely seen his fair share of exquisite rare seeds. Indeed he did. Asdal proceeded to tell Buttala that the variety was once common in Norway, or at least within his own family; that his family had cooked the beans for generations; and that he remembered the seed’s unique markings from the family meals of his childhood. He further told him that while he had some seeds, they were no longer viable and capable of germinating. Soon Buttala was pouring a portion of the beans that had been destined for the glass cylinder into Asdal’s hands: “I knew Åsmund would care for them and ensure that they moved into the future by growing them and sharing them with those he loves,” he says. Preserving and sharing rare seeds to ensure they can be enjoyed by future generations is at the heart of the work Seed Savers Exchange has done since it was established in 1975. Please donate today to help us continue this work to preserve rare, heirloom, and open-pollinated varieties like the cherished 'Norwegian Pencil' bean.